In a small food processor, pulse the nuts, parsley and garlic together. Add all but 2 tablespoons of the nut mixture to the cheese and salt to taste. Mix well. Transfer the mixture to a tipless pastry bag and pipe into celery. Arrange on platter and sprinkle with remaining nuts and a drizzle of oil. Note: If you wish to remove the thin paper-like wrapping from the nuts, boil them for a few minutes in a small pan with 2 cups of water and 3 tablespoons of baking soda. When a slight squeeze of the nut causes the paper to part from the nut, remove from the water and cool until you can handle them easily. This recipe is featured on show 2418 - Little Bites. This recipe is featured on Season 24 - Episode 2418. Mary Ann is a delight. Cooks great food, great ideas, and stays current with our life and times. I view her show on Monday mornings at 7 a.m. CST in the Baton Rouge/Gonzales area on PBS3. Love her show. 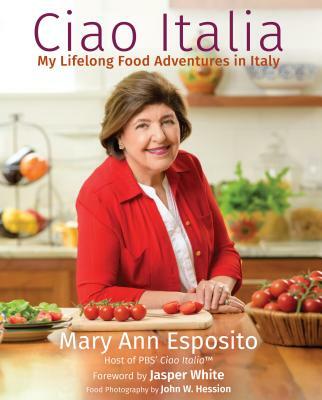 Does her book cover Gluten Free Pasta and the best type to buy? I love pasta; but haven't been eating it very much since learning of my allergies. I know she said rice pasta; can she give me a cook brand. Thanks. Wish I were her neighbor, Mary Ann is true. Mary Ann, I so enjoy your show! Such variety and ideas to keep me inspired. I like the way you have so many interesting ways to cook and serve vegetables, pastas, etc. I feel you are my friend and I treasure our times together! Again as always, you are my go to for recipes. I have love ricotta cheese and just watched the episode with Lina's tart recipe. So, I am going to put that on my Thanksgiving dad menu. The filling for celery I have just found looks wonderful and I am making that TODAY! Thank you so much for your great recipes that you share with us. They loved in this house!